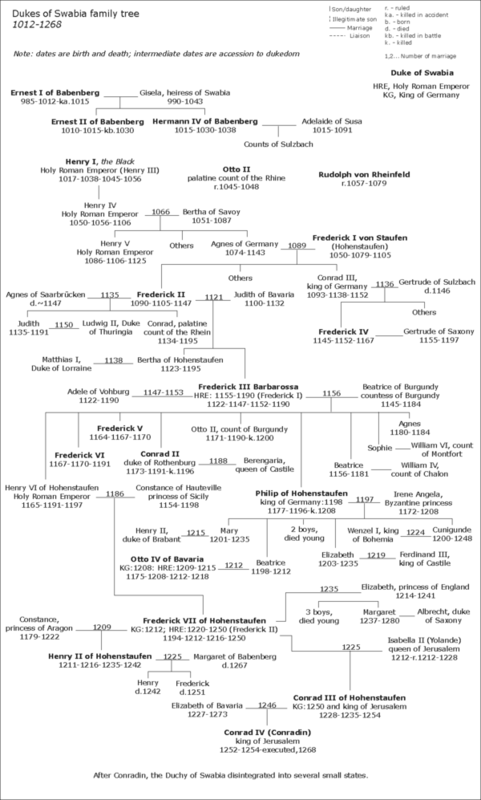 This is a Family tree of the Dukes of Swabia, from 1012 to the end of the Hohenstaufen dominion over the duchy in 1268. Dukes previous to 1012 are not represented. This article is issued from Wikipedia - version of the 1/17/2011. The text is available under the Creative Commons Attribution/Share Alike but additional terms may apply for the media files.